Here's hoping your New Year's Eve was a blast - whether you went out and partied all night or stayed home and kept it low key. As well, I hope that 2015 brings you dreams fulfilled, new found resolve, and much happiness. As is tradition this time each year, I pondered what I want to change and improve. 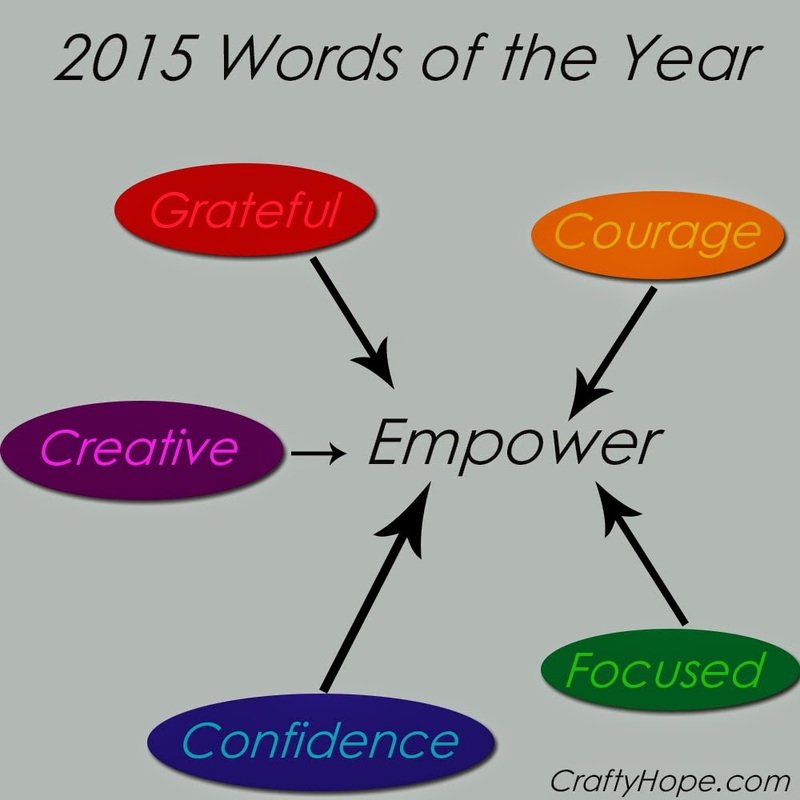 I considered picking a word for the year along with making new and extending current goals (not resolutions). In the end, I'm doing a little of both. I picked a few words I want to focus on for one result. I even made a pretty chart to illustrate this for you. I started with several words that really appealed to me and have special meaning for the goals I want to accomplish this year. I'm just going to run down them quickly. Grateful: I want to make sure I recognize just how lucky I am, even for the small things each day. I think finding some positive in each day will help me be a happier person to be around. Courage: When it comes to promoting myself and talking to 'new' people, I'm a bit of a wuss. I want to break out of my shell and get past some of that anxiety. I also want to be courageous in my art and take some chances with my creating. Courage also applies to helping people in need. My social anxiety often prevents me from stepping up and seeing how I can help someone else. I feel tons of guilt for this later and know that I will feel better the more I can be of assistance. Focused: Keeping goals in sight and heading for those is important. I want/need to make sure I accomplish something everyday and that's going to require some commitment and focus on my part. Confidence: Part of my lack of courage comes from a lack of confidence. I'm able to boast about myself in a silly, sarcastic way but never seriously. That needs to change, and I need to believe in myself the same way others believe in me. Creative: It's important to me that each and every day have some element of creativity. Whether it's through writing, jewelry-making, or art journaling; I need to have that time. It just makes me feel better and more whole. Who doesn't want a happier, more pleasant Hope? In the end, I want the above five words to work together to help EMPOWER me to be a better person, feel good about myself, and make a change in the world. In addition to the words above, I'll be working toward better health (mental and physical) with improved eating habits and physical activity; a healthier environment with a clean(er) house; and a healthy mind by reading books as often as possible. As always, I spent a little time getting myself organized for the new year. First I looked around the web for different blog planners. I found two helpful free ones. The first one is in a spreadsheet format and is the Free 2015 Online Blog Planner from Mom's Small Victories. Secondly, there's this printable, colorful 2015 Blog Planner from Confessions of a Homeschooler. While I'm not really using either one of these ladies' planners as intended, I do like the information collection that's included in both of them and am using them as references on the type of stats and ideas I should/want to record. Next, I printed out the 2015 Bullet Journal Pages (monthly calendars) from Miss Zoot and added those to my bullet journal. Now, I just need to add in important dates: birthdays, appointments, Mardi Gras ball, deadlines, and other such nonsense. One more thing I did to prep for the new year was clean my dirty house! After weeks and weeks for being sick and then the holidays, my house was a complete disaster. I don't like welcoming in a 'new start' with a messy slate. As such, I picked up, wiped down, and put away as much as possible. Dusting and intense floor cleaning and such wasn't included. . .yet. However, I feel so much better about where I am this morning. I'm ready to go mess it all up again, especially the craft room! I could review my goals from last year in intricacy, but who really cares? I know I still have plenty to work on and am proud of my small successes. 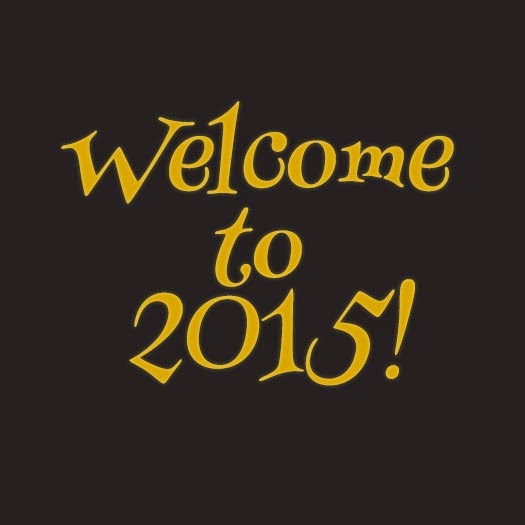 Let's get on with 2015 already and not dwell on what happened in 2014! Happy New Year! Great goals Hope! They are very achievable so I know you will feel empowered in 2015 with dedicating yourself to these improvements. For 2015 I have a just 1 goal of improving my bottom line. Being my first full year of self employment, I really need to focus on making my work pay off. I need to work on some of your special "words", too. Courage, because of exactly what you talked about, and Focused, because I tend to get involved in too many things and get off track...And, I need to go clean my studio so that the creativity can get out of my head and become something that I can touch, see, feel and share. Thank you for this post. 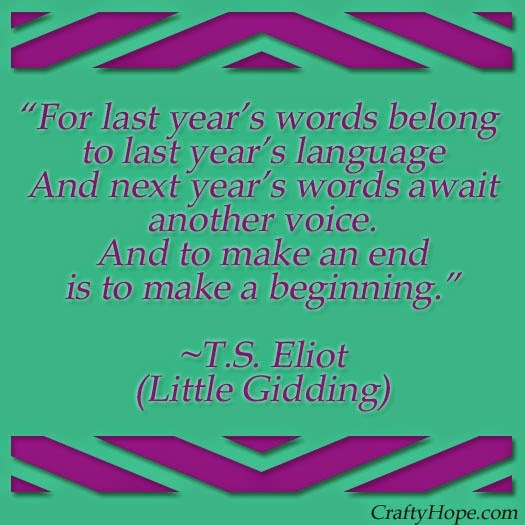 I just love the new beginnings that each new year brings! Happy New Year. Happy New Year Hope! I strive to plan my blog out better this year for sure - and bead and craft more. Thanks for the links for the planners - I just downloaded the confessions of a homeschooler planner!! Well I would say you have a great start to 2015 I love that you took several word and broke them down and combined them together to form one word Empower! I am such a procrastinator, but I have been thinking of a word just have not pin pointed one yet. I saw the picture of your craft room on FB and it looks wonderful. I'm the same way it is clean now it is time to get it messy again. The best to you my friend in 2015! Hope, I'm sure you'll reach your goals, steal a few others, and accomplish them too. I try not to set goals at the new year. Though we are trying to stick to a monthly budget plan. Also, I'm hoping to procrastinate slightly less than I did this year. Then again, how do you measure procrastination? I'll have to read this wrapper on my new all natural Kirk's Soap...then start thinking about my next blog... and let you know later. Alan, Yes- it's very likely these goals and words will morph into something else entirely as the year goes on. Your budget goal is much more admirable than my crafty goals. Best of luck with that! As for procrastination. . .yeah. . .I get that...oh look - shiny!